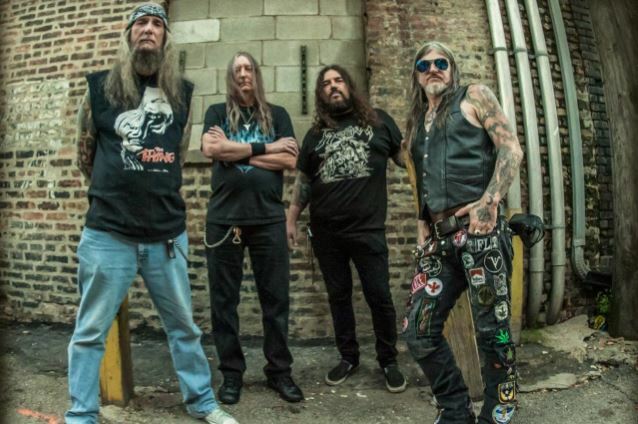 The godfathers of American doom SAINT VITUS are unveiling the first raw track taken from their forthcoming live album, "Live Vol. 2", which will be out in stores on September 23. The classic and fan favorite "War Is Our Destiny" can now be streamed below. From the very first guitar chords, that unmistakable frying, sizzling, and wailing signature sound of Dave Chandler as well as the trademark deeply resonant vocals of Scott "Wino" Weinrich, any adherent of classic doom metal will immediately know: this is SAINT VITUS. Despite having been around for more than 35 years, the American heavy legends are only now getting ready to release their second official live album after the 1990 seminal "Live" record. 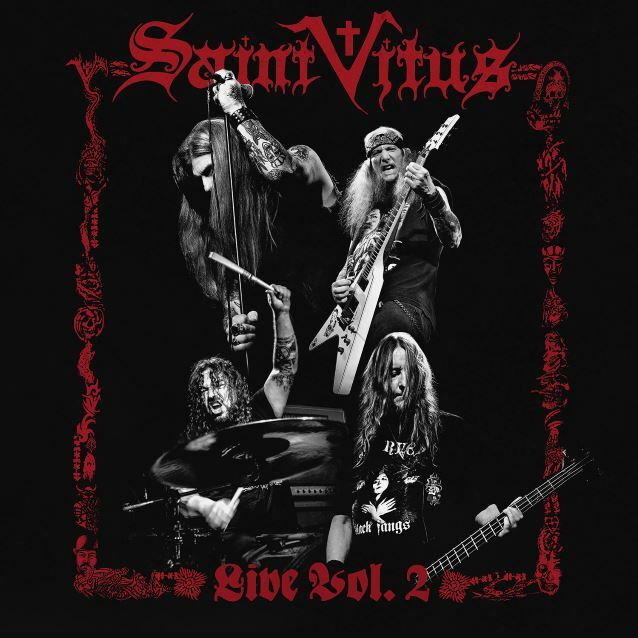 SAINT VITUS taped "Live Vol. 2" during the tour for their acclaimed comeback album, "Lillie: F-65" (2012), on March 19, 2013 at the Kulturfabrik in Esch-sur-Alzette, Luxembourg. The album and tour marked the return of Weinrich. Out of respect for their vintage heritage, SAINT VITUS chose to preserve the raw and pure live sound without cleaning up and patching with overdubs. As a result, "Live Vol. 2" is a true live document. "Live Vol. 2" will also be released as a special digipak edition containing a digisleeve as well as a triple gatefold vinyl, which are both strictly limited and will contain "Marbles In The Moshpit". This live recording from Ontario, Canada in December 1984 was previously available as a bootleg and on limited vinyl, and features the lineup Dave Chandler, Mark Adams, original singer Scott Reagers, and late drummer Armando Acosta, who sadly passed away in 2000.